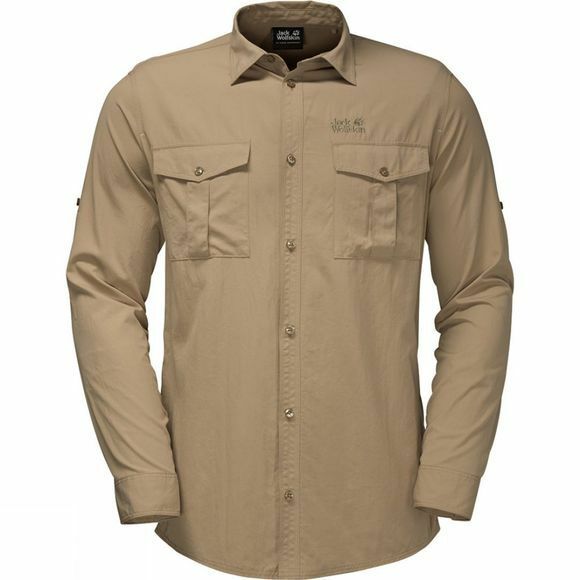 By jeep or on foot, wear the Mens Atacama Roll–Up Shirt from Jack Wolfskin and you can travel in the hot desert sun without a care in the world. It's a really comfortable and practical travel shirt thanks to the lightweight, breathable fabric that feels amazingly good against the skin. It also protects you from the sun, with the handy capability of rolling up your sleeves and fastening them in place.